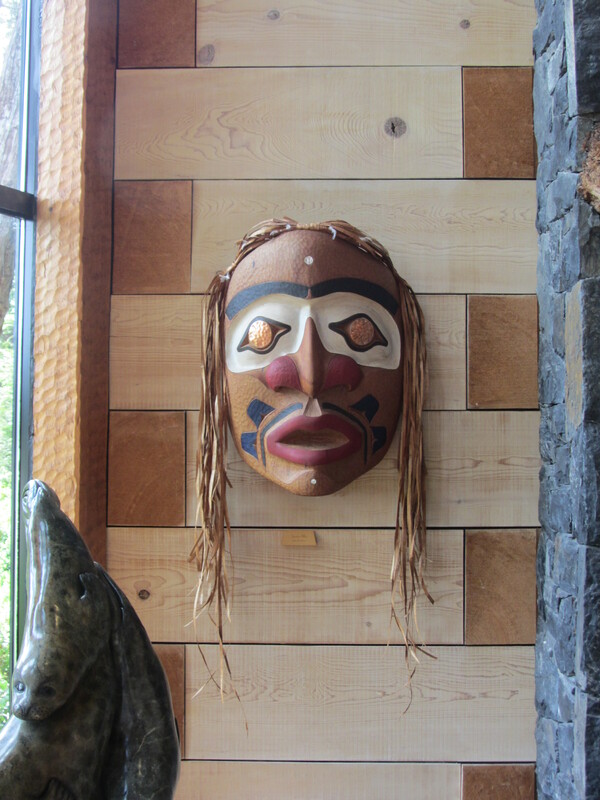 Tofino and Ucluelet BC are a little piece of paradise, and I love to visit as often as I am able. 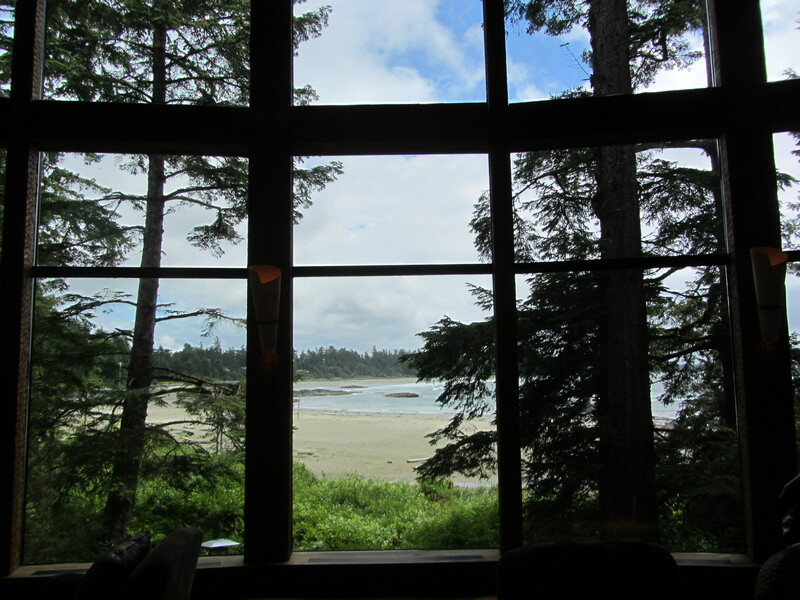 The internationally renowned and award winning Wickaninnish Inn is a worthwhile stop on your visit. 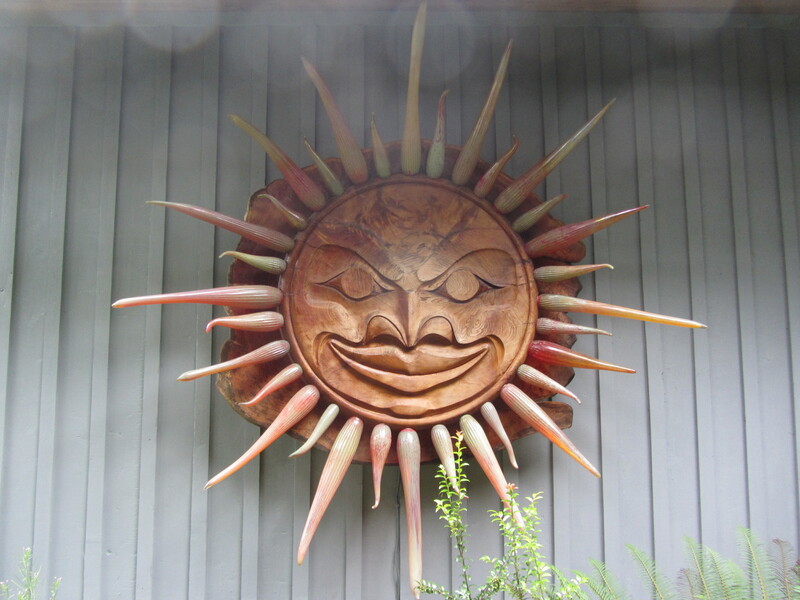 This large carved sun mask greets you as you approach. 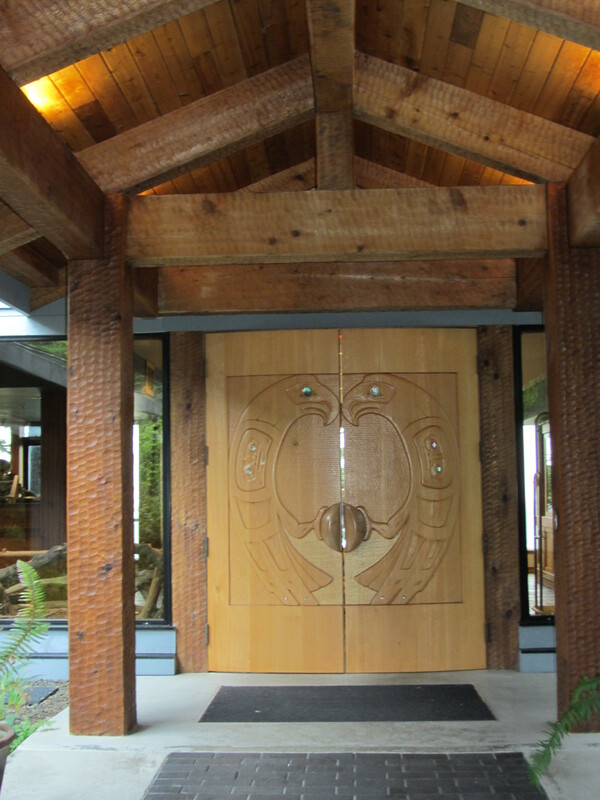 The lite glass is a unique feature on the native carving. 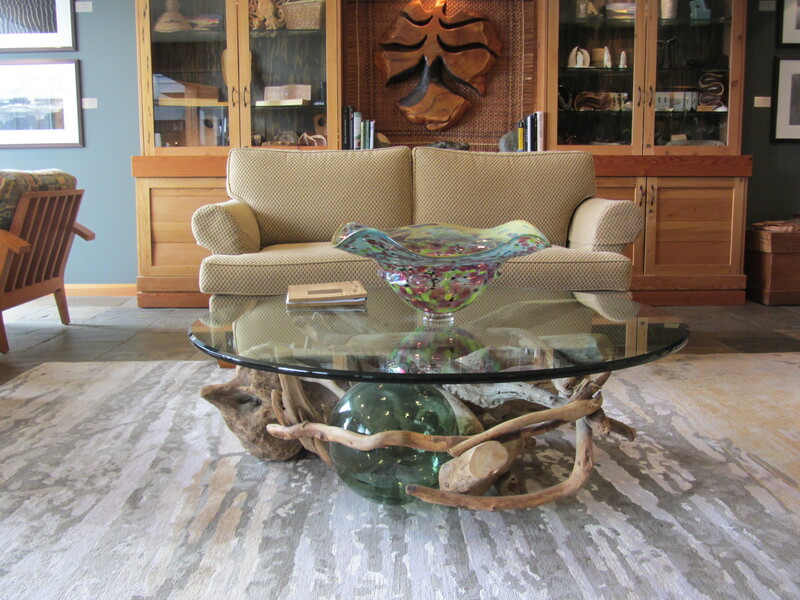 I loved the lobby – this driftwood table with the glass float caught my eye, and the area rug the echoes the feel of the beach is a perfect backdrop. 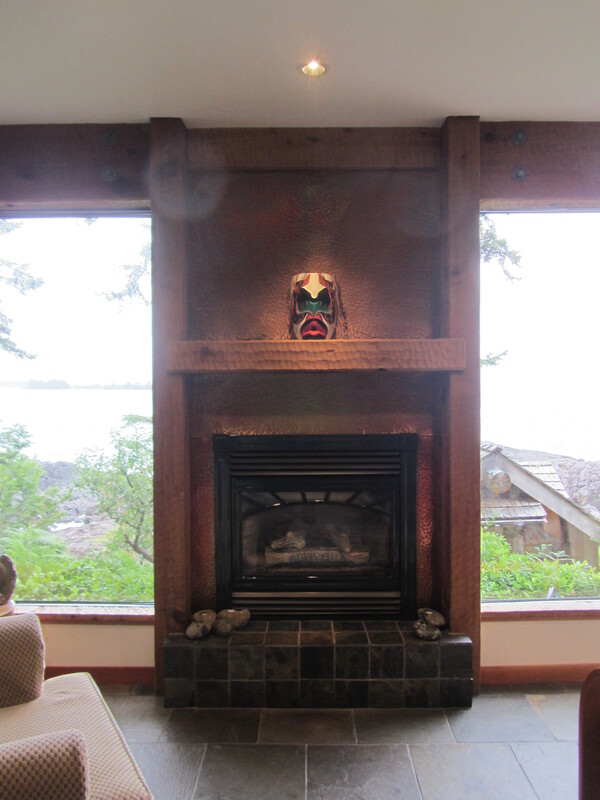 The feature of copper is throughout the property, and my photo does not do justice to the hammered coppered fireplace surround in the lobby. 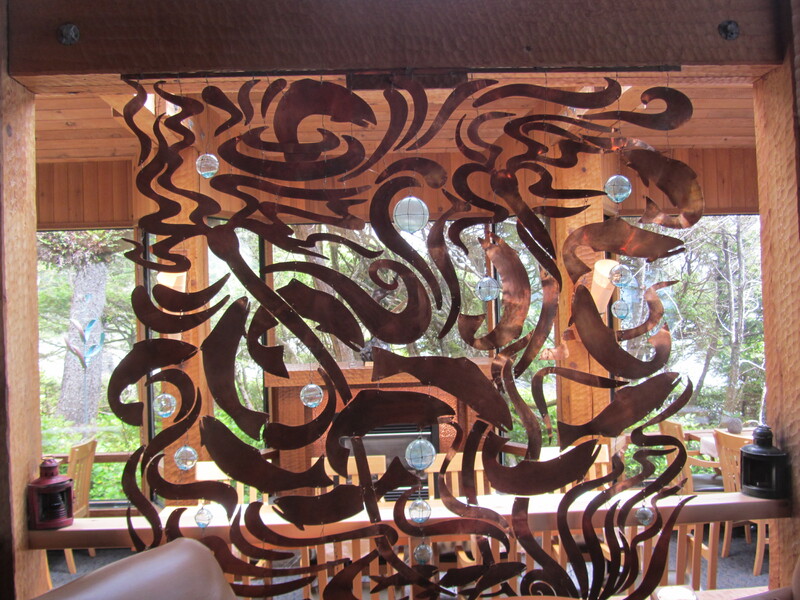 This copper screen offers privacy to people in the dining room, but is also beautiful, shaped like seaweed with glass floats incorporated in the design. 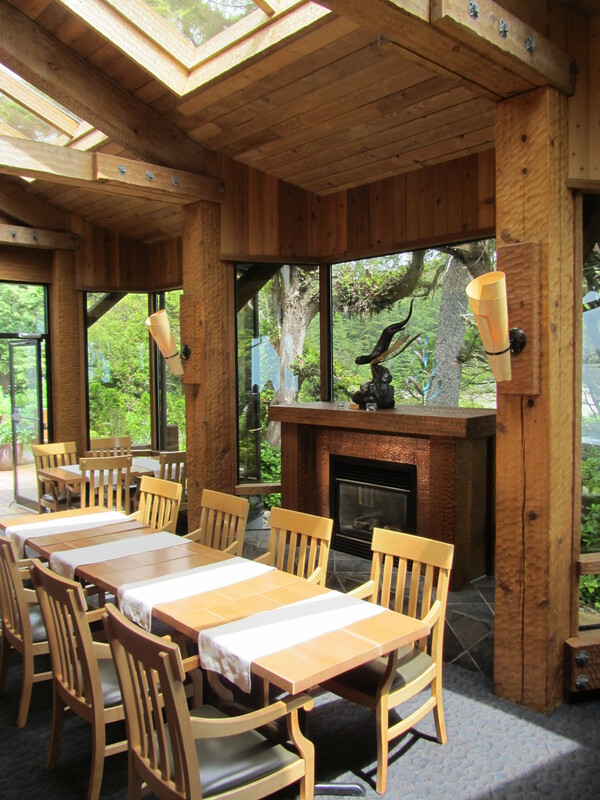 The dining room is made with hand carved beams, and that is another hammered copper fireplace. 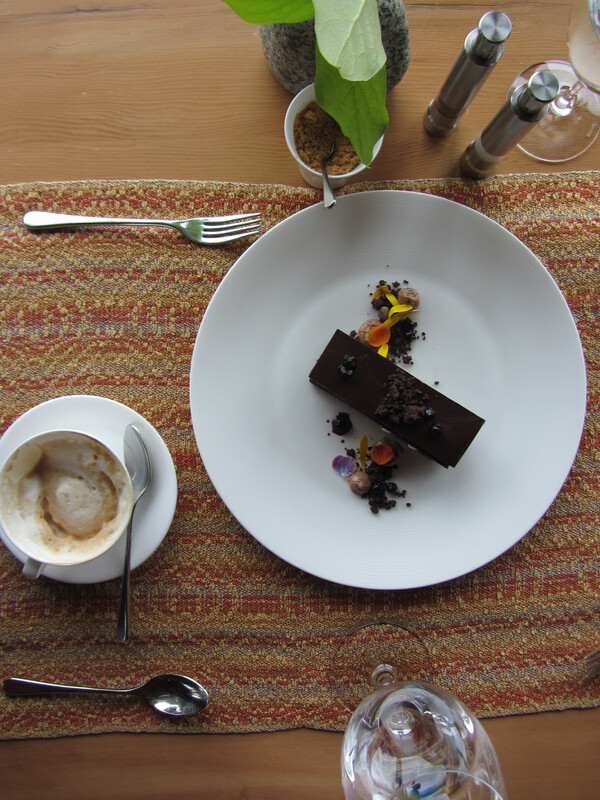 It was my favorite place for a meal, worth stopping here even if you are not staying. 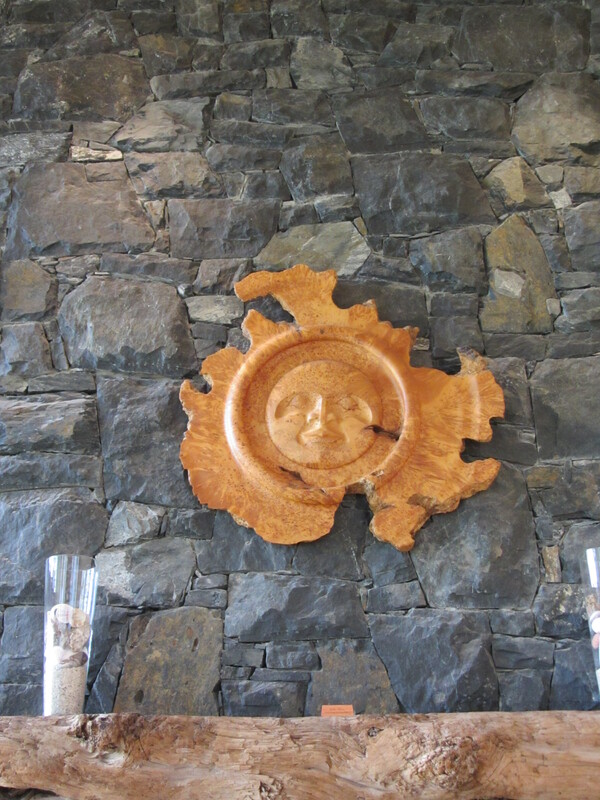 This carved moon mask in burl wood is a feature over another fireplace. Another cozy place to sit. 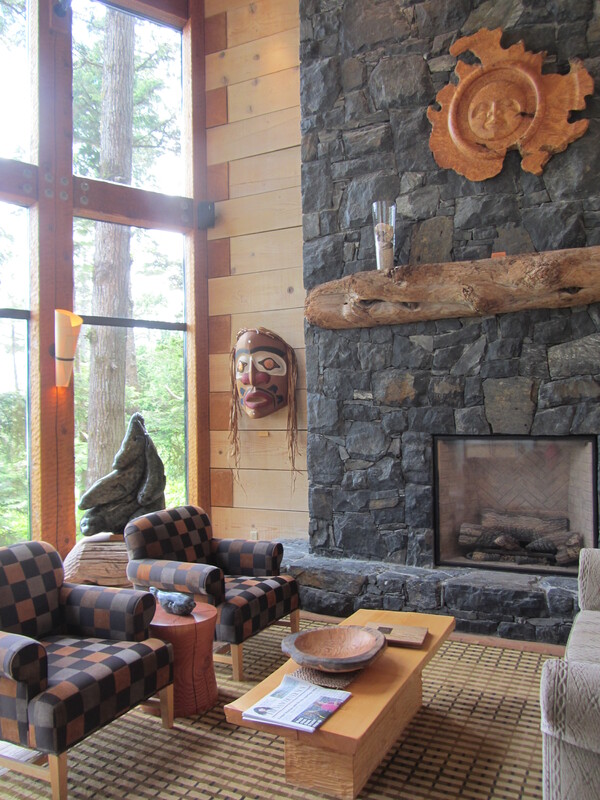 My name is Sue Womersley and I am an Interior Decorator located in White Rock, BC. All photos sue womersley – please credit accordingly.